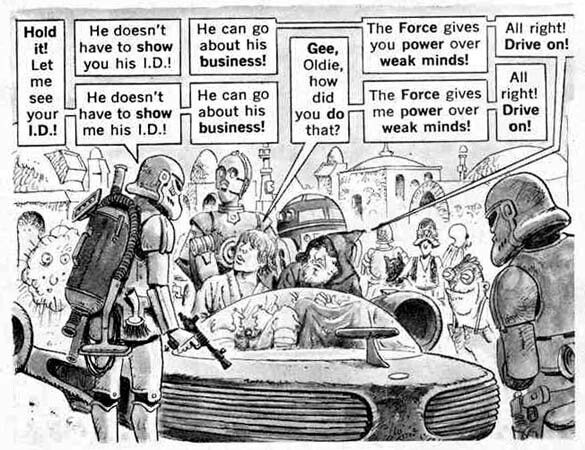 When you said you were doing the 365 days of Star Wars, it never occurred to me that you'd use this panel (In my mind, the best joke about Star Wars). Thanks guys! That MAD panel is my second-favorite MAD joke of all time. Here's #1, from the Grease parody in MAD #205. Teniversary Countdown #23: And then, it happened!